Posted on 09/13/2018 by jesternate	in Live Review and tagged blues, country, Hersheypark Stadium, Lukas + The Promise of the Real, Lukas Nelson, Micha Nelson, music festival, Outlaw Music Festival, Sturgill Simpson, Tedeschi Trucks, Tedeschi Trucks Band, The Particle Kid, Van Morrison, Willie Nelson. The 2018 Outlaw Music Festival Tour made a stop in the sweetest city on earth — Hershey, Pennsylvania — on Saturday, Sept. 8. 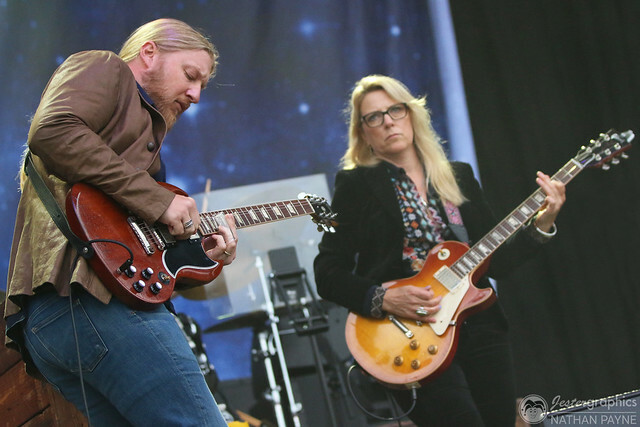 The lineup included top names in music such as Willie Nelson, Tedeschi Trucks Band, Van Morrison, Sturgill Simpson, Lukas Nelson & The Promise of the Real, and The Particle Kid. Hersheypark Stadium hosted the star-studded music festival, a one-day event that creates a classic multi-day festival vibe by including several art and food vendors along with a full day of soulful and eclectic interpretations of blues and country music.